The MacArthur Foundation’s $75 million pledge shows that political momentum is clearly on the side of reform. In February, the MacArthur Foundation announced that it would invest $75 million into an effort to reduce the country’s staggering incarceration levels by encouraging localities to seek alternatives. Over the coming months, counties will submit reform proposals to the foundation’s “Safety and Justice Challenge.” Twenty counties will be given planning grants of $150,000 for six months; of these, ten will then be funded at between $500,000 and $2 million a year for up to five years. The goal? To foster a new culture aimed at lowering the number who end up in local jails each year and, instead, finding better, safer, alternatives. Those alternatives include more investments in mental health, better risk-assessment tools to determine who can safely serve their sentences in the community, drug treatment programs, and so on. Now is exactly the right moment for this investment. For the first time in decades, political momentum is clearly on the side of criminal justice reform. 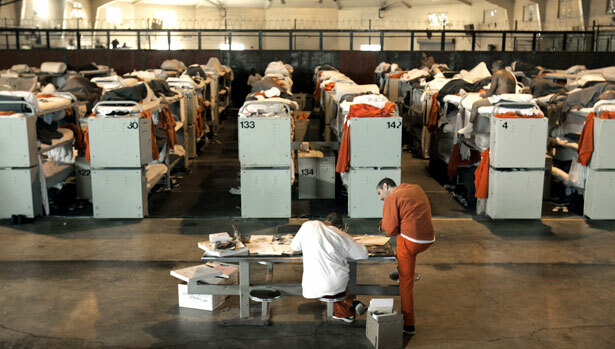 From the passing of Prop 47 in California last November to the repeal of a number of mandatory-minimum sentencing requirements in conservative states such as Louisiana, the status quo of mass incarceration is at long last being challenged. And it is being challenged not only by liberals and progressives but, increasingly, by conservatives wary of both the fiscal costs of wholesale incarceration and also the extraordinary governmental power grab embodied in the normalization of imprisonment levels that, historically, have only been documented in the most totalitarian of regimes. That Prop 47, which converted a slew of nonviolent felonies into misdemeanors and opened the way for the freeing of thousands of prisoners, passed in California with the support of conservatives such as Rand Paul—whose nascent presidential campaign will almost certainly include criminal justice reform as a part of his policy platform—and Newt Gingrich is testimony to the shifting political sands. So too is the creation, announced on February 18, of the Coalition for Public Safety, a group committed to lowering America’s incarceration numbers and including among its founders such unlikely bedfellows as the American Civil Liberties Union and Koch Industries, as well as Americans for Tax Reform and the Tea Party–leaning Freedom Works. Yet despite the reforms, America remains far and away the world’s leading incarcerator, with more than 2 million people behind bars, and a slew of reports continues to estimate that roughly one in three black men will spend some time behind bars during their lives. The data surrounding incarceration remain a national scandal, a story of lives destroyed and resources brutally misapplied. MacArthur has long been one of the largest players in the foundation world, including in the arena of criminal justice reform. Its investments have seeded major changes in justice and mental health and in creating the International Criminal Court. Hopefully, the foundation’s latest huge investment in promoting alternatives to jail will yield similar success, both boosting anti-incarceration movements nationwide and providing political cover and support for more people and organizations from across the ideological spectrum to rethink the country’s attachment to incarceration. The time has come for imaginative and sweeping reform of America’s bloated criminal justice system. A political space is opening up for a saner conversation around drug policy, treatment of mental illness and the myriad other issues intimately related to the rise of what journalist Joel Dyer once aptly wrote about as America’s “perpetual prisoner machine.” The MacArthur Foundation has recognized this moment, as apparently have the Koch brothers; now it is time for more legislators in Washington and state capitols, as well as attorney generals and governors, to end this awful chapter in American criminal justice history.